How Gose it? Ha ha, get it?! I've never had a Gose-style wheat ale before, but being an aficionado of almost all kinds of wheat beers, it's due time to give it a try! 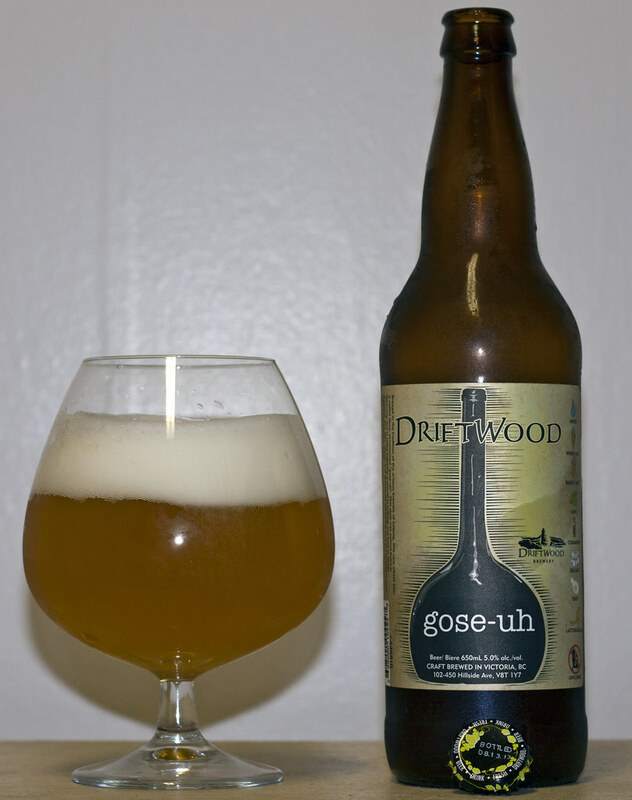 I got a bottle of Driftwood Brewing's Gose-uh from a trade last year, so it's due time to finally review it. In fact, this bottle was bottled on August 13, 2013, almost a year and a month ago. Appearance: Gose-uh pours a murky yellowish orange peel appearance to it, a light copper hue to it, INCREDIBLY thick creamy beige head. 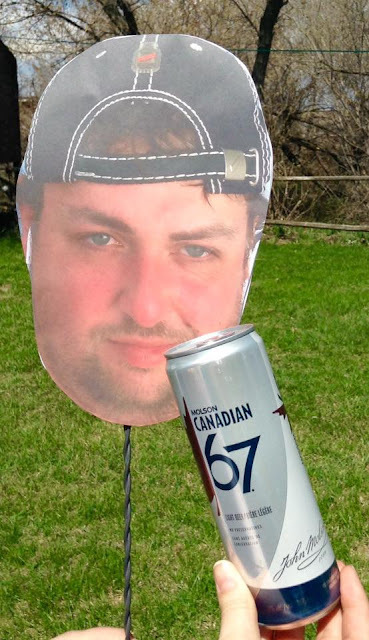 The beige head is slowly evaporating, but even long after the beer is poured, the creamy thick head is showing its presence. Aroma: Notes of lemon, wheat straw, hint of coriander, autumn forest morning dew, yeasty and quite reminiscent of several other wheat styles like Saisons and Hefeweizens, a bit thicker though. Taste: Creamy mouthfeel, light bitterness from the yeast, notes of lemon, grass, light saltiness, herbal and overall quite a nice brew. A bit of a breadiness to it as it warms up. Slight sour notes. 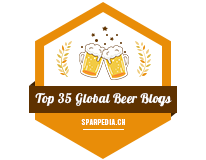 Overall Thoughts: Gose is an interesting style, throughout the 20th century, there were decades when not a single brewery was brewing the style, leaving it to be nearly extinct. But now the style's more alive than ever. It's a nice creamy wheat beer that reminds me of German and Belgian wheat ales, but with some tweaks to make it its own, such as a bit of a saltiness, nice herbal backing notes. Overall, a very refreshing and great tasting wheat beer.